In Enid Blyton’s bestselling school series Elizabeth Allen is sent away to boarding school and makes up her mind to be the naughtiest pupil there’s ever been. In book ten, Elizabeth is overjoyed to be appointed monitor again. 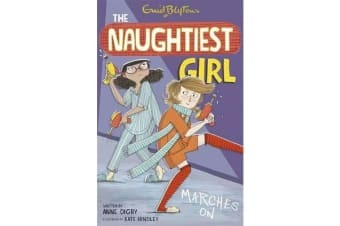 But one of the second form boys is turning all the other boys against her, starting with a nasty note in her desk and ending with a false tip-off about a midnight pillow fight in the boys’ dormitory. Can she find out who has a grudge against her – and why? Enid Blyton’s experiences as a teacher. A timeline of the author’s life. Photos from Enid Blyton’s younger days.